Welcome to the FRG neck of the woods-North of Boston! This north of Boston area is situated directly north of Boston and below New Hampshire, where most towns are just a short drive to New England's beautiful beaches, mountains, and historic sites and the Ma highways (I93, I95 and I495) are all easily accessed. The area is comprised of amazing towns with great school districts, beautiful parks and recreation areas all within commuting distance of Boston. Each of these suburban towns have their own unique feel and have many different amenities that appeal to singles, couples and families alike. The FRG team lives, work and plays in this beautiful area. We have been helping people buy and sell their homes here for a combined total of over 20 years. FRG is available to help you find your dream home or sell your existing home. 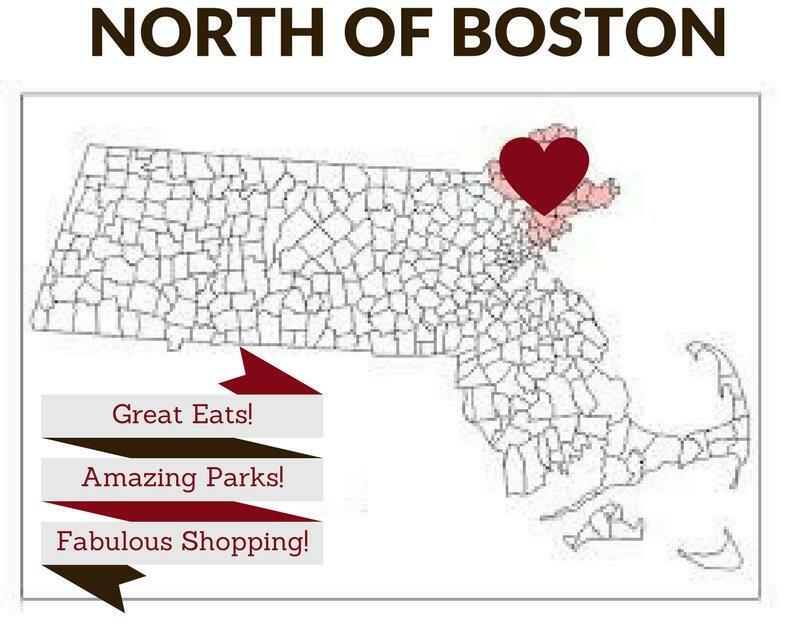 Click below to get more in depth information on each town and explore the North of Boston area with us! Situated on a peninsula along the Annisquam River with sweeping water views, this quintessential New England summer cottage, originally a boy's camp, has been in the same family for over 100 years. Approached via a long driveway along the river, the 1.8 acre property offers 1200' of water frontage with direct access to the Atlantic Ocean.The shingle-style residence built c1900 has 6 bedrooms and 5 bathrooms with the main living areas located on the top floor to capitalize on the spectacular views. A classic, 2-story boat house is ideal for outdoor and boating enthusiasts. This is a rare offering with one of the best vistas on Cape Ann for water views and boating activity. A magical place, a getaway where you can experience the joys of waterfront activities and outdoor living. Swim, paddle, canoe, sail and fish from your very own deep-water dock. Additional building lots, pier, and land available for sale. The Stage Cove House This special offering is a direct waterfront property, including a private dock, located in the heart of Annisquam village with sweeping views over Wingaersheek Beach, the Annisquam Yacht Club and the entrance to Lobster Cove. Few properties offer this rare combination of privacy, proximity to the village, and immediate waterfront access a with dock. There is an understated elegance to this French Provincial style home which includes an abundance of glass on each of it's two expansive levels bringing ocean views into every room. The natural lighting and open floorplan connects the large kitchen, sun room, and decks. Its three fireplaces provides a unique setting for delightful waterfront entertaining. The grounds are accented by rock outcroppings, stately granite walls and a walkway leading to the water. The property is just steps to both Cambridge Beach and the Annisquam Yacht Club.